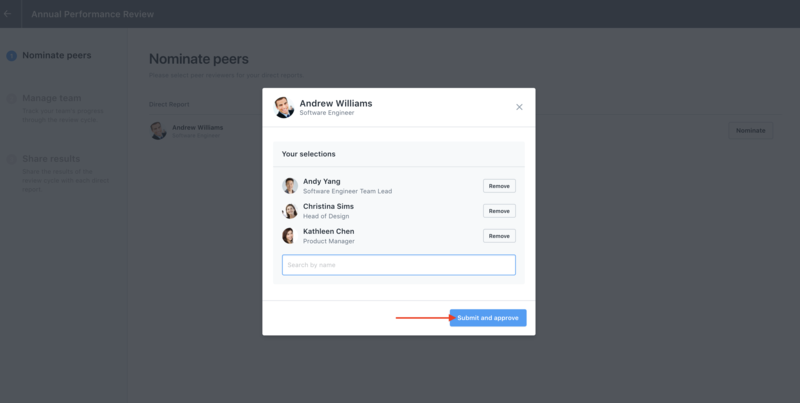 How managers choose peers for their direct reports during the peer nomination process. 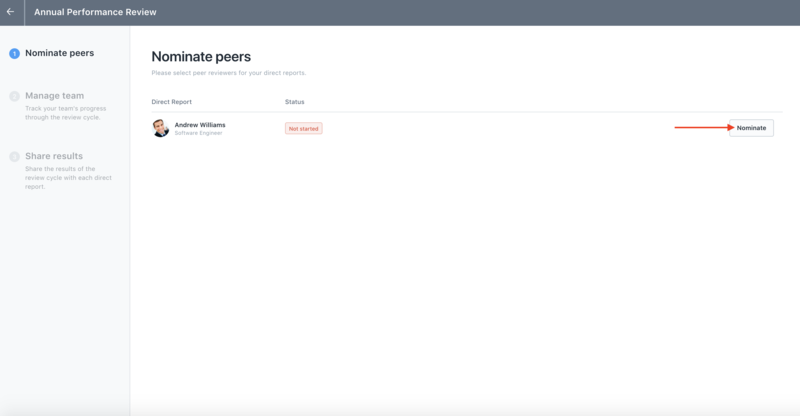 During the Reviews setup flow, an admin can indicate whether Reviewees will select their own peer nominations (followed by manager approval) or if managers will select peers for their direct reports. 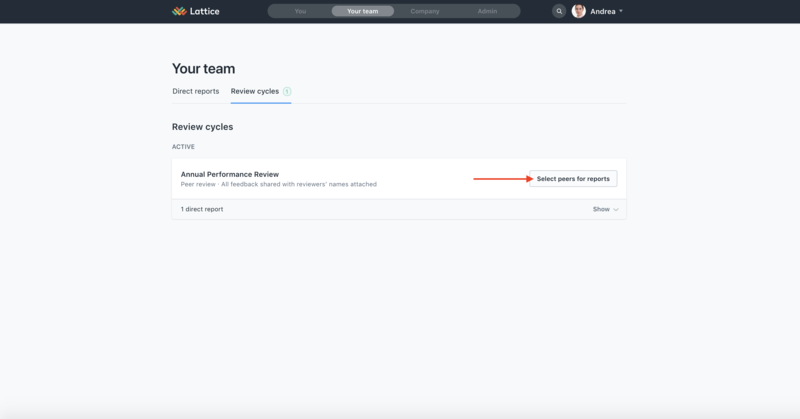 If managers are selecting peers for their direct reports, they will receive an email notification once the cycle has launched. 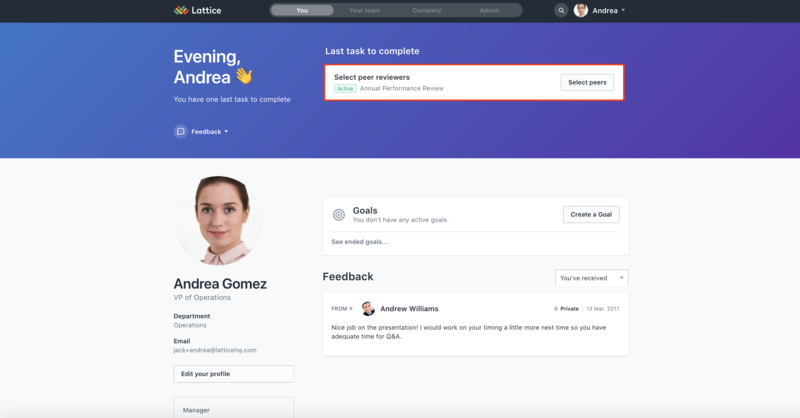 When they log into their Lattice account, they will see a task at the top of their dashboard instructing them to select peers for that review cycle. When they click into the task, they will see a list of their direct reports' names. From here, they can click on "Nominate" and choose peers for that individual. Once the manager has made their selections, the task on their dashboard will go away. However, they can always view their selections by going to navigating to the "Your Team" page and clicking on the "Reviews Cycles" tab. From here, they will be able to edit their selections. Note: If the admin has made any overrides, the manager will not be able to make anymore changes, but will be able to view the overrides on this page.